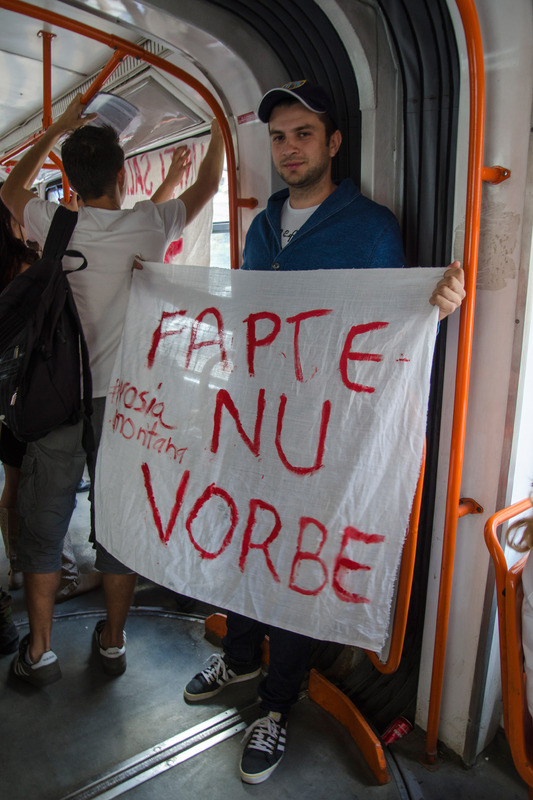 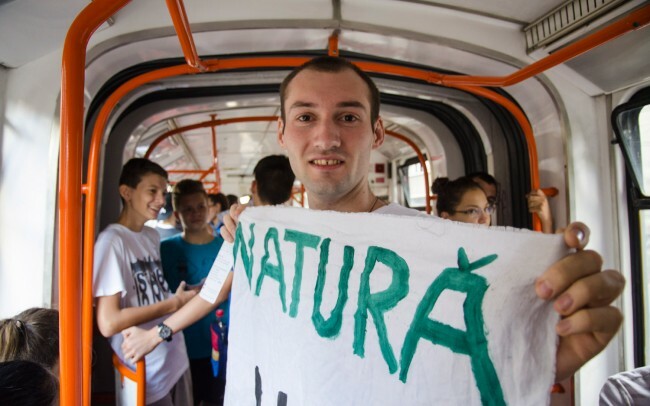 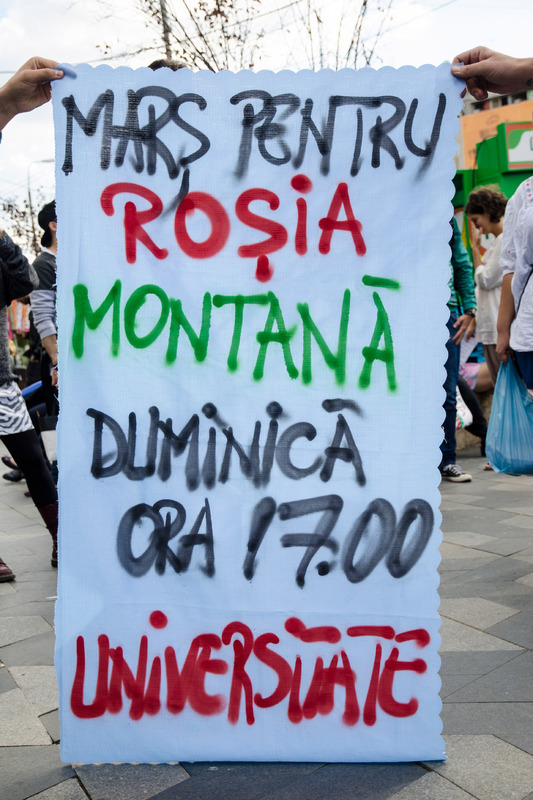 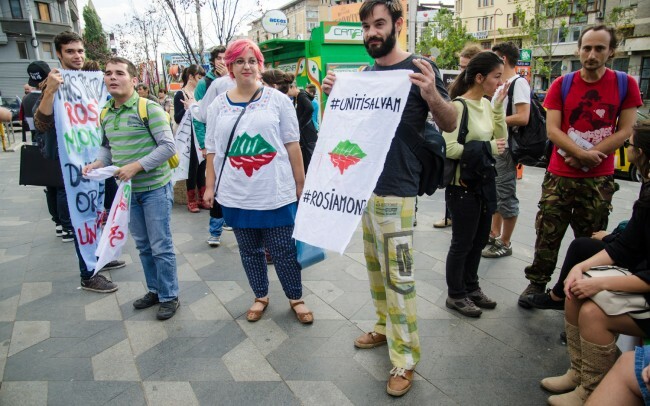 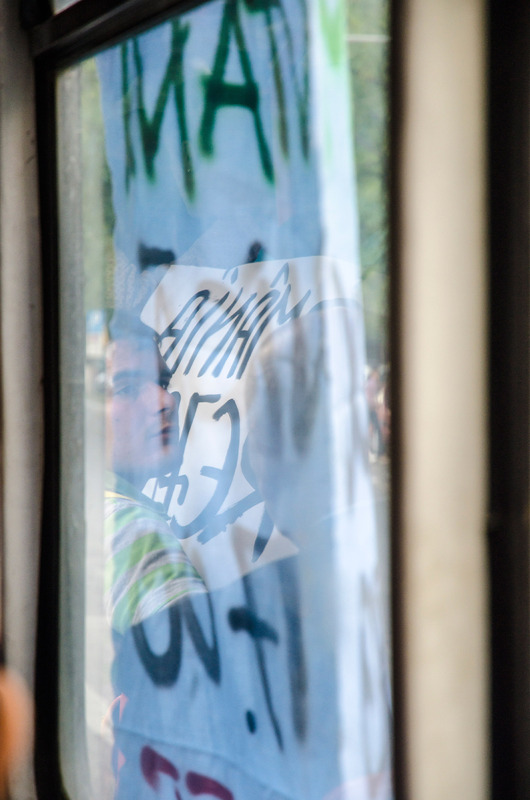 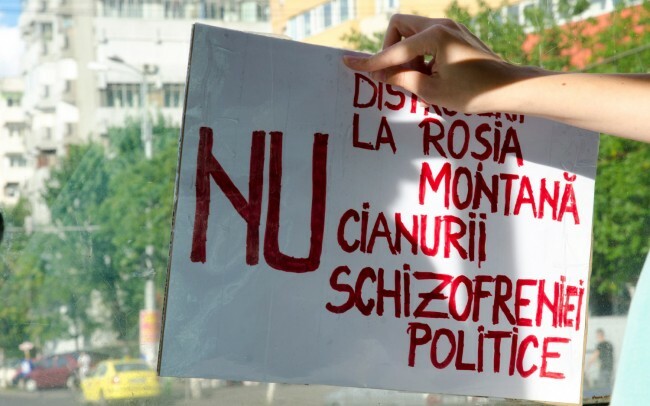 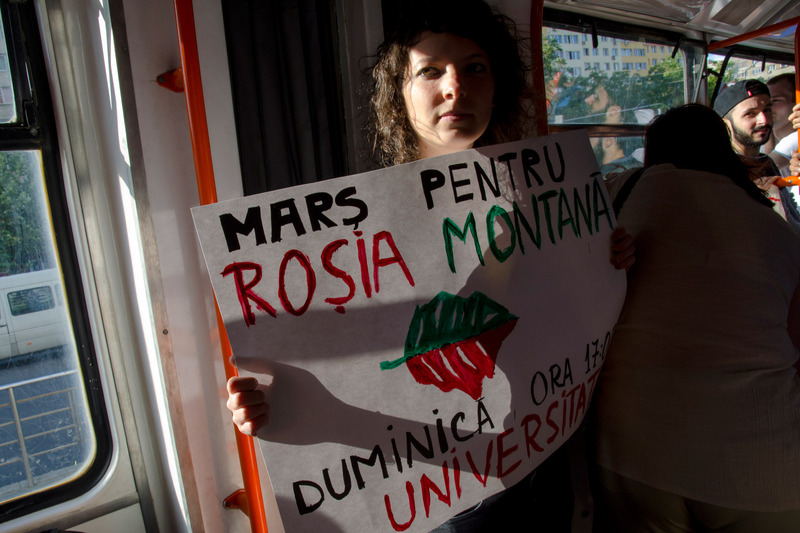 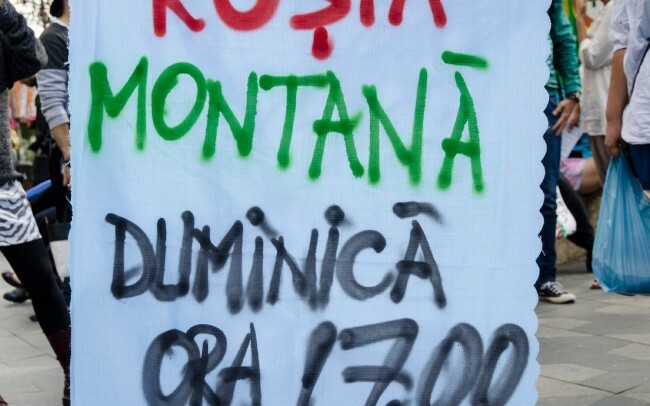 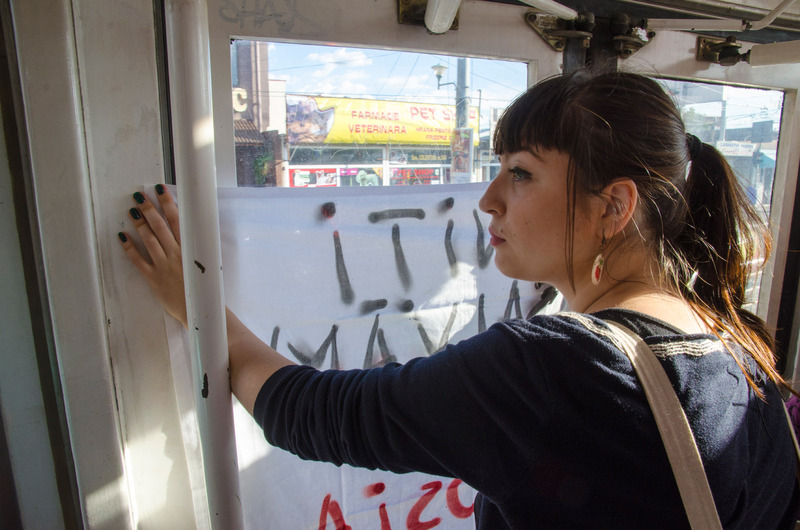 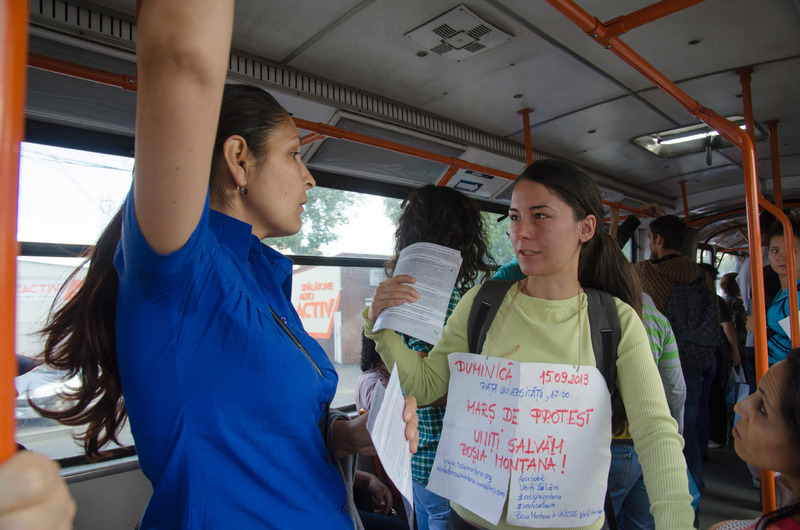 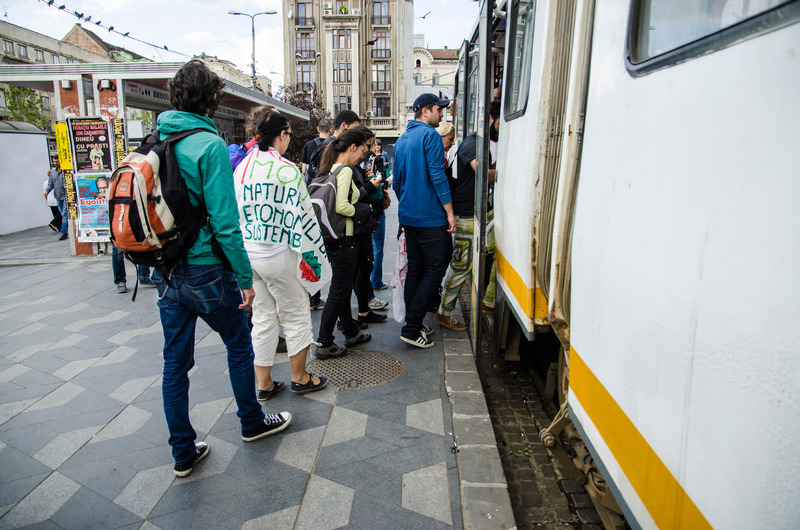 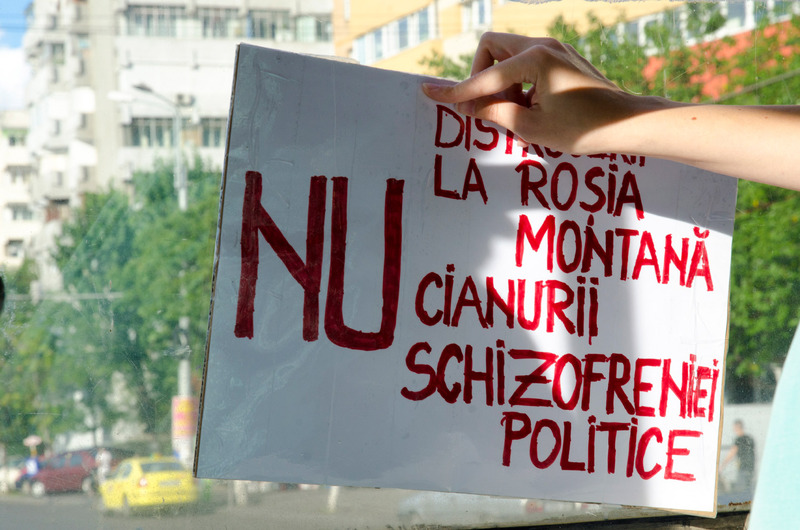 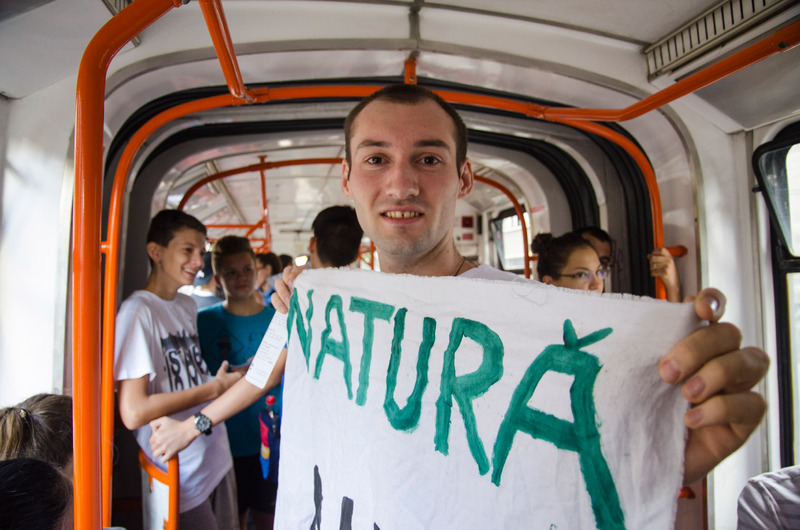 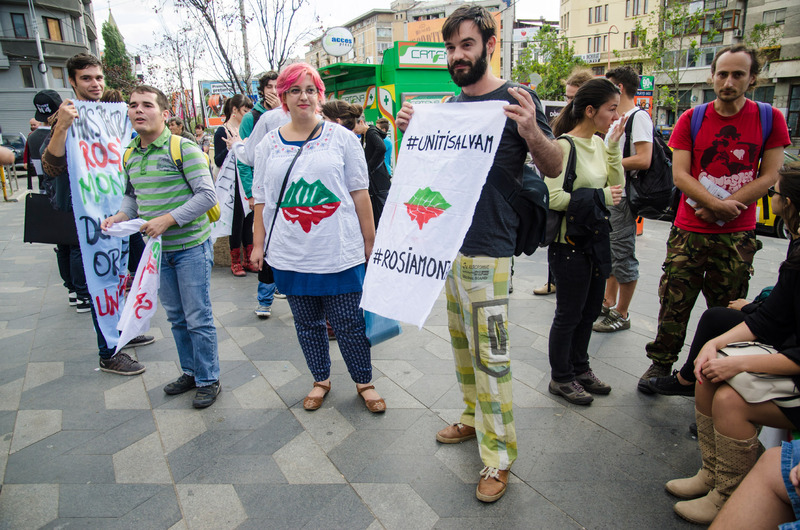 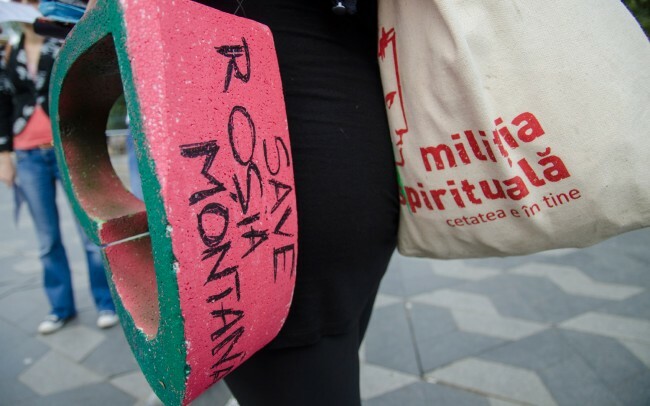 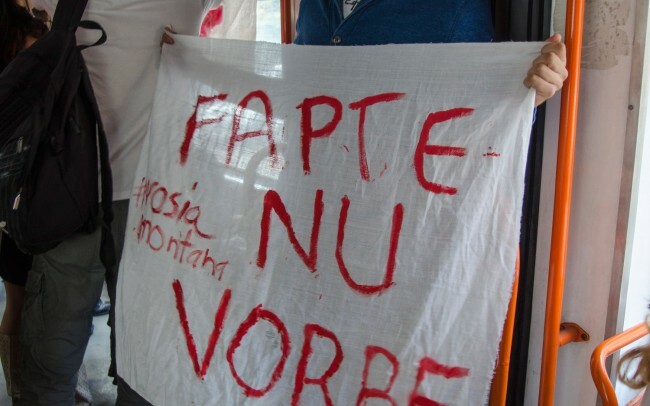 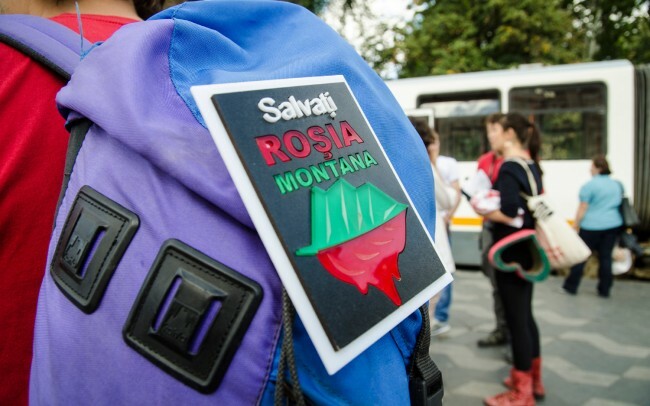 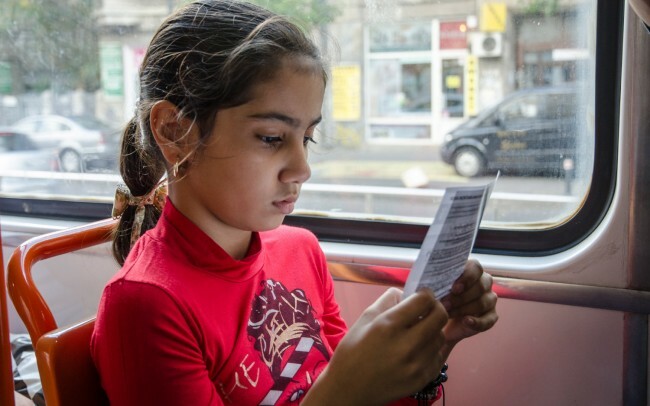 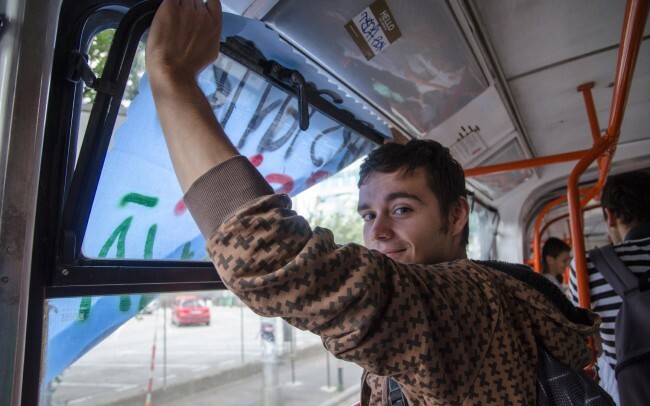 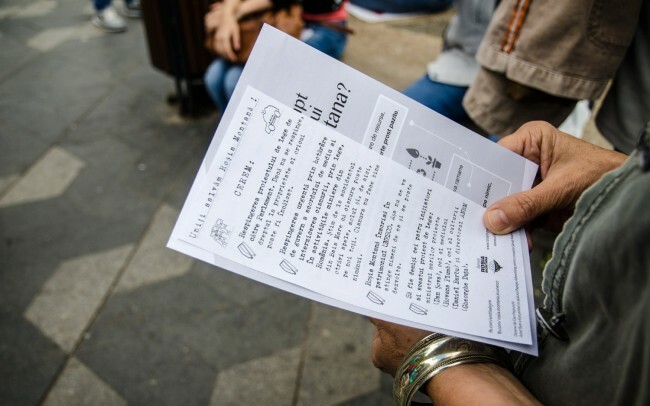 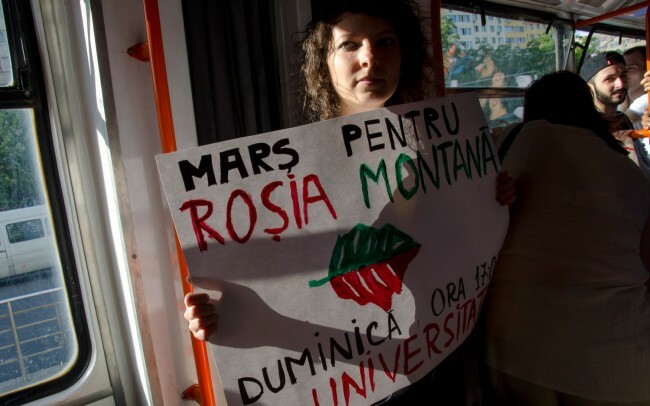 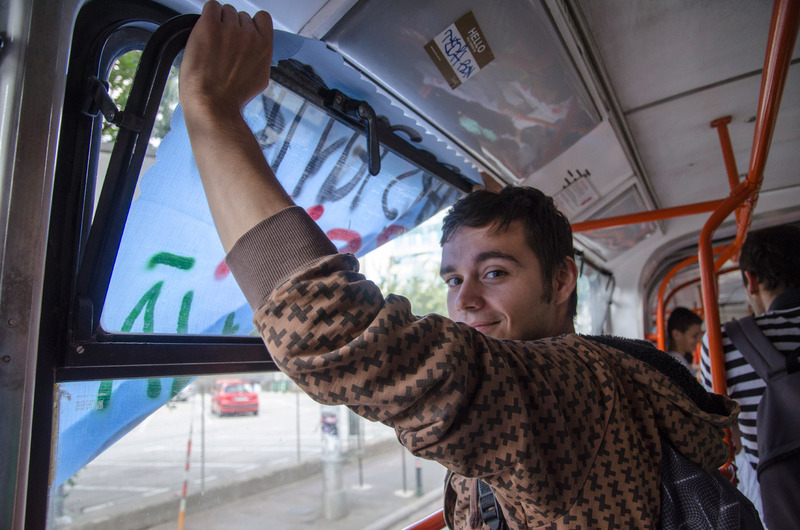 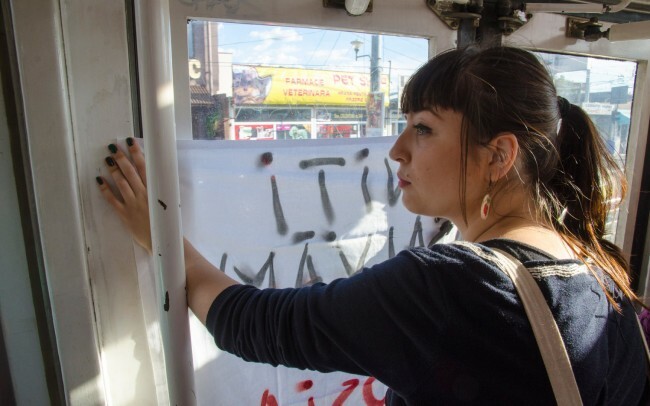 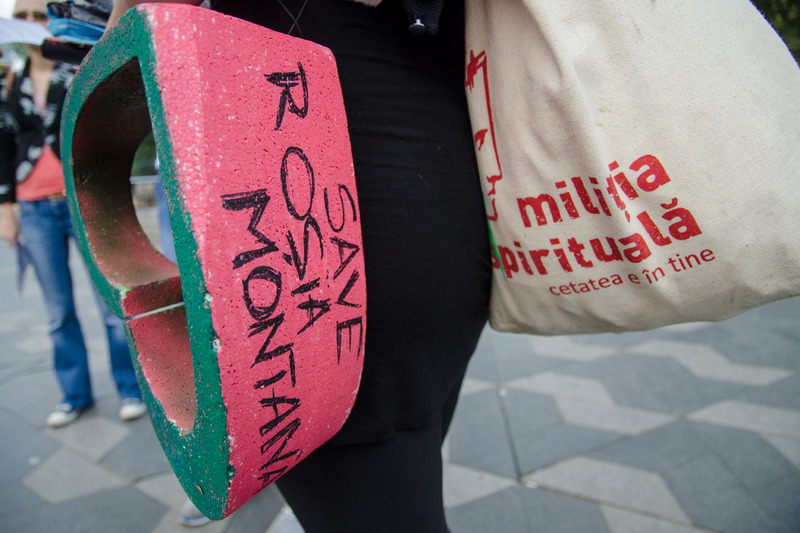 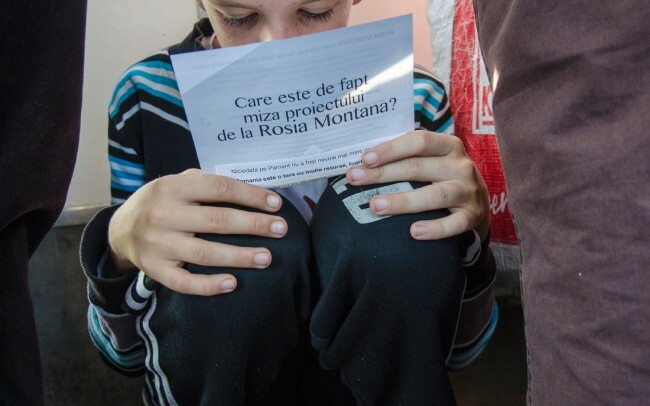 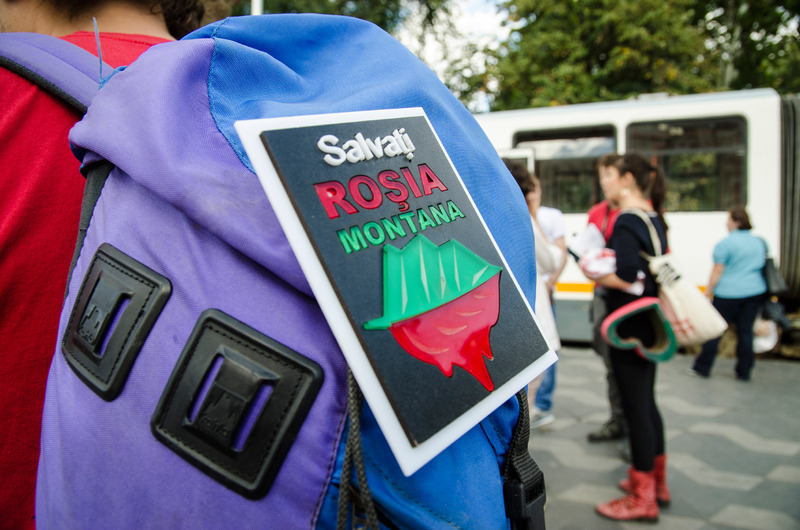 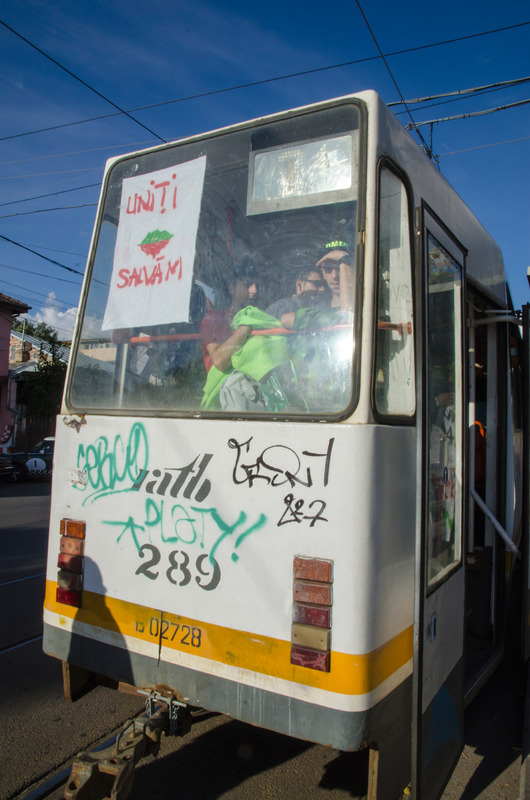 On the 14th of September 2013 in Bucharest, Rosia Montana protesters occupied 4 trams in order to raise awareness regarding the negative effects of the mining project and invite people to participate at the protest that is to to take place the next day. People gathered at the starting point of the trams numbered 7, 14, 21 and 23 at 4 pm and by 5pm, after recharging their travelling cards, they got in one of them. 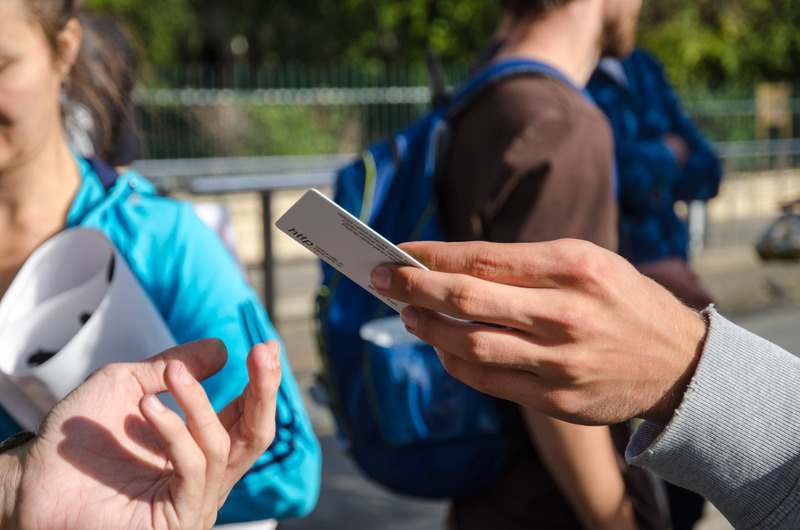 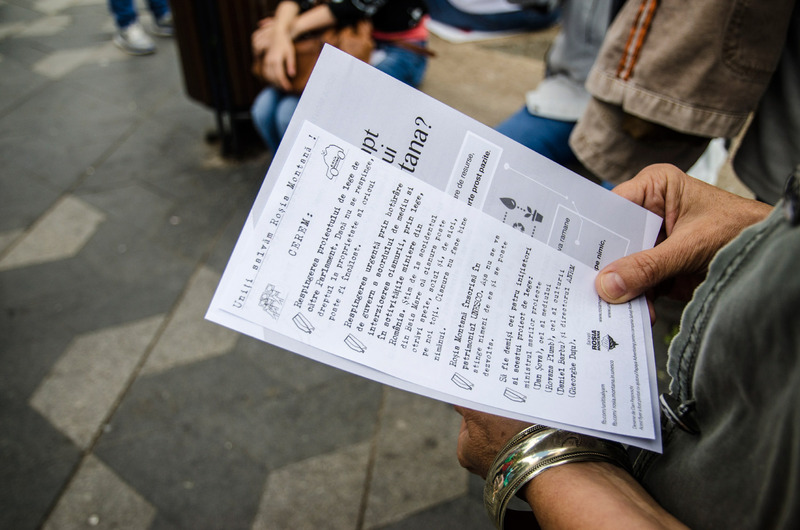 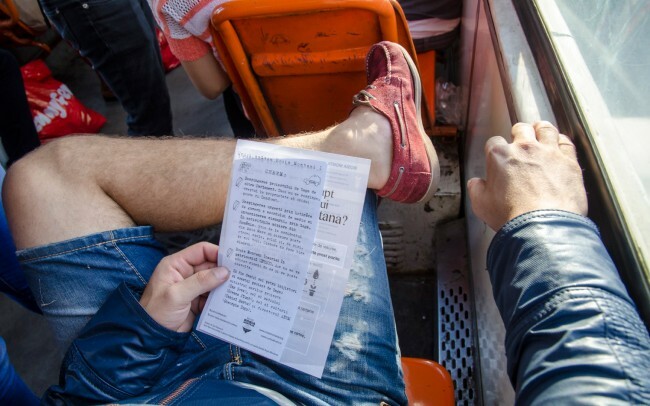 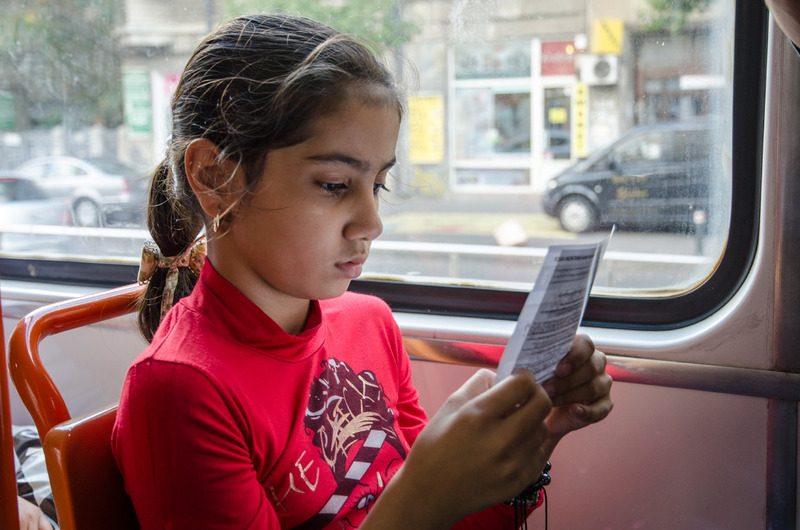 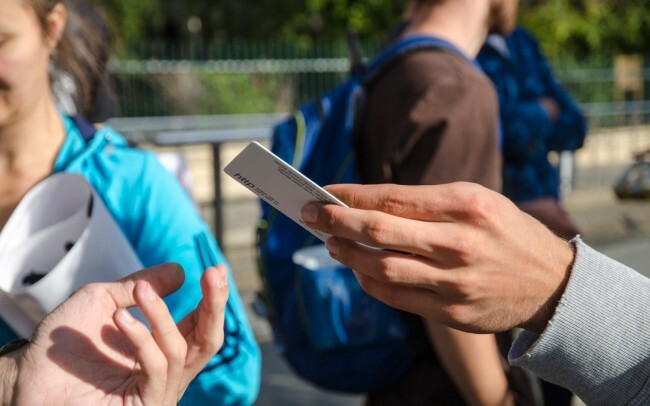 Around 25 people got into tram number 21 at Saint Gheorghe station and started sharing information to the passengers through flyers and words. 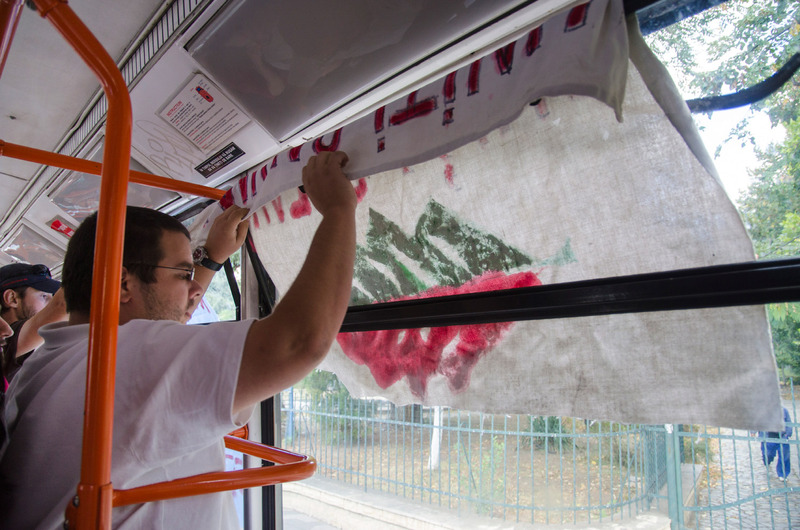 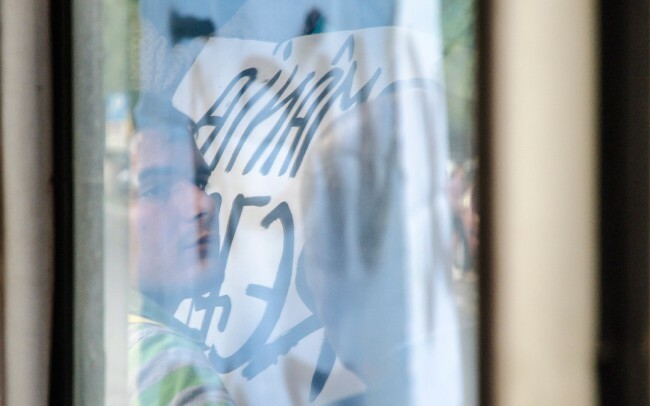 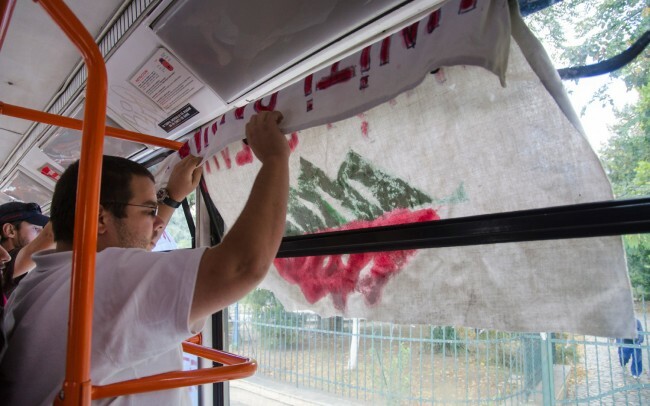 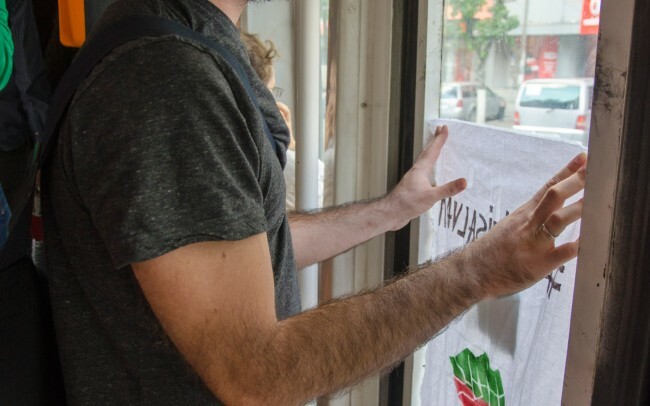 Banners made of pieces of cloth were seen from outside and made people aware of the protest that was to take place the next day. 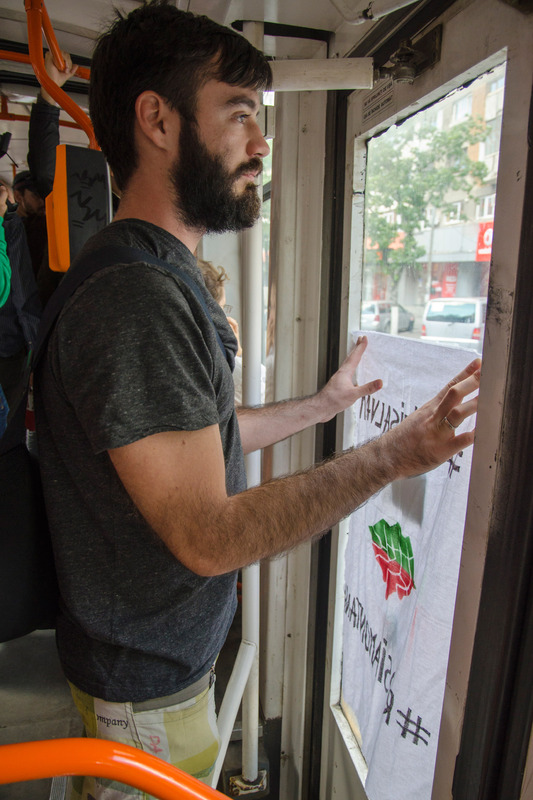 Some were receptive, some knew the information that was spread, others were hopeless and thought that there was no point to participate at any protest. 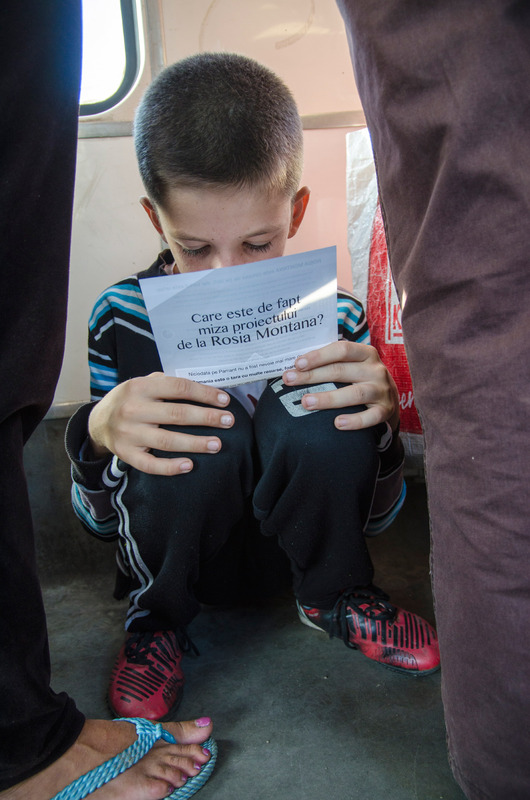 Children were fairly interested in the information on the flyers. 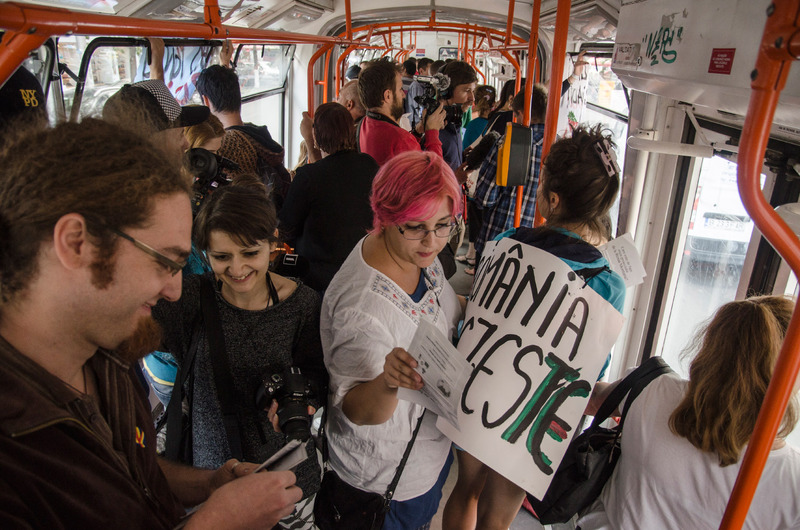 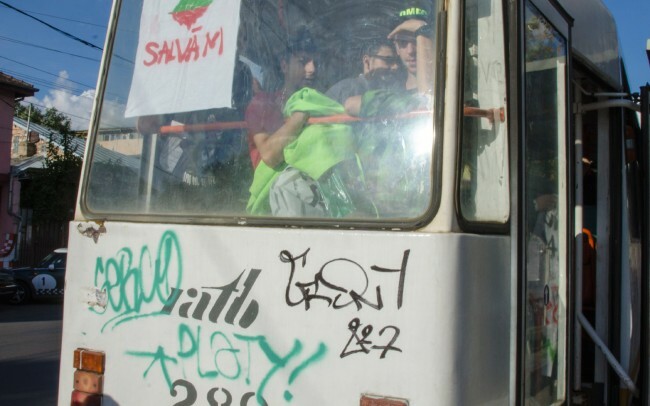 The trip lasted around half an hour and at the end of the line, the protesters took the tram with the same number back.